The 58th edition of the Salone promises to be packed with visitors and projects. Over 2,000 exhibitors—including 650 SaloneSatellite designers—will meet next week in Milan in its main trade fairs: the Salone Internazionale del Mobile, Euroluce and the Salone Satellite, which showcases the work of young promises. With more than 205,000sqm of net exhibition, the encounter aimed at professionals and general public attracts more than 300,000 visitors each year and represents an international showcase for the latest novelties in furniture and lighting. 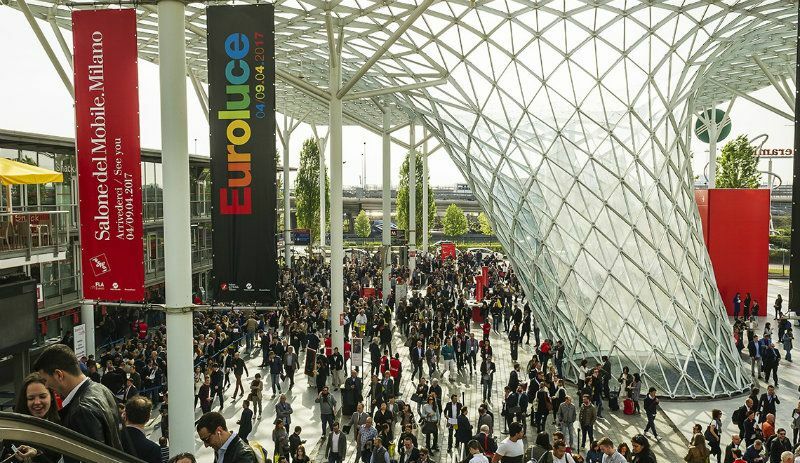 The new edition will see the debut of S.Project, a new crosscutting exhibition format dedicated to design products and to decorative and technical interior design solutions. In synergy with all the other events, S.Project will collect and promote solutions from companies with a view to delivering a 360-degree overview of interior architecture and responding to the latest market demands. 84 participants will be ranged over 14,000 square meters in Pavilions 22-24. Multisectoral focus is a distinctive feature of S.Project. It is a space showcasing a vast array of goods ranging from interior and outdoor furnishing, to wellness products, fabrics, lighting, acoustic solutions, coverings and finishes. It is not just an event; it is also an opportunity for reflection on the new perspectives that enable companies to work increasingly ‘synergically’ together. S.Project will act as a new business-to-business platform that underpins the alliance between retail, designers and companies, providing an inclusive experience and the ultimate networking environment. As on previous occasions, the Salone Internazionale del Mobile will once again be divided into three categories: Classic, Modern and Design.